It happens. Not in my garden, mind you ... but elsewhere in the world/country/city. Long ones, short ones, round ones, ones with flowers still attached. In a number that defies use in cake or lasagne. - of course - pickles (recipe here). Or hiding it in pasta (recipe here). Or straight up in salad (recipe here). But today? I'm making pancakes. Um, I mean, pikelets. American-style pancakes. do not be alarmed. *As always, try to use organic ingredients where you can. 1. Mix all the dry ingredients together in a large bowl. Push the flour away from the centre of the bowl, so you have a little well. Into this well, put your zucchini, eggs and milk (the lesser amount). Mix everything (wet and dry) together. 2. Preheat a frying pan - with some butter if it's not non-stick - over med-high heat. 4. Dollop 1/4 cup-fuls of batter onto the preheated pan, and cook on one side until you start to see bubbles coming through. Then flip, and cook the other side until golden. Keep them warm on a plate in the oven ... or serve them up as you cook them to pesky eager little ones. Serve with butter (of course) and jam. Or maple syrup. Or whatever your favourite pikelet/pancake topping is. I used free zucchinis!! And if I had chickens, this'd have free eggs too. Sigh. Anyway, the whole organic batch cost me $2.50. And made me very happy. Your post inspired me to make pikelets yesterday too, although I didn't use zucchini, only because I didn't have any. But they do look yummmm! that looks seriously delicious amanda, especially the addition of the butter. 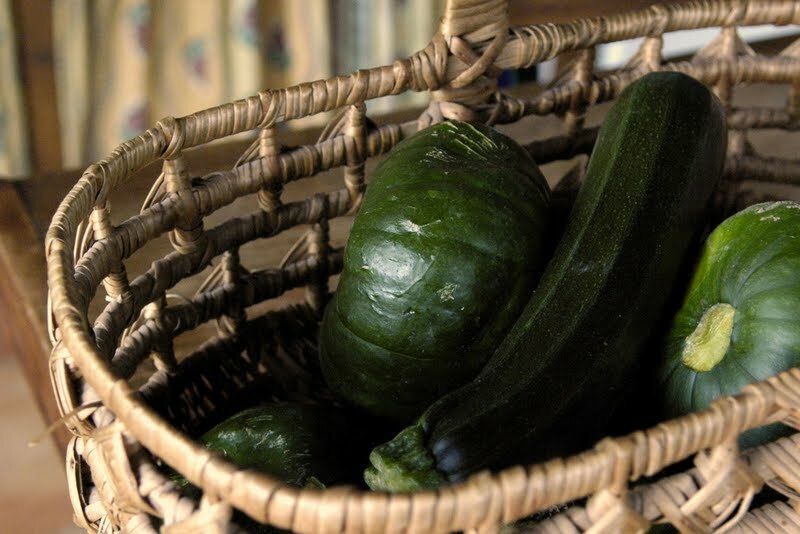 There is no such thing as too much zucchini :) Loving your pikelets- they sound and look delish. Pikelets with butter - way to yummy. I wouldn't be able to stop at one of these. They look delicious. Looks great! Perfect summer breakfast! Beck - Yay for pikelets! Jen - you can't go wrong with butter. Sherilyn - who says you have to stop at one?